The website located at www.irenelyon.com, and all content, services and products available at or through such website, including, but not limited to, associated blogs, forums and websites, including www.smartbodysmartmind.com, www.updownworkshop.com, and www.nstuneup.com, among others (collectively the “Site”), are copyrighted works belonging to Scientuitive Fitness and Wellness Education Inc. (“Scientuitive” or “we”). The Site provides users of the Site (“Users” or “you”) with educational materials and exercises developed from Somatic Experiencing, the Feldenkrais Method, and the personal insights and experiences of Irene Lyon, founder and principal of Scientuitive. Information is delivered via the Site and associated media and communication methods, including, without limitation, email, videos, live calls, online and in-person courses/programs, articles, webinars, and recordings (collectively, the “Services”). For greater certainty, these Terms of Service (these “Terms”) apply to the Services, as applicable, even when not otherwise specified. By accessing or using the Site, you are accepting the current version of these Terms, on behalf of yourself or the entity that you represent, and you represent and warrant that you have the right, authority, and capacity to agree to and be bound by these Terms, on behalf of yourself or the entity that you represent. If you do not agree with all of the provisions of these Terms, do not access or continue to use the Site. 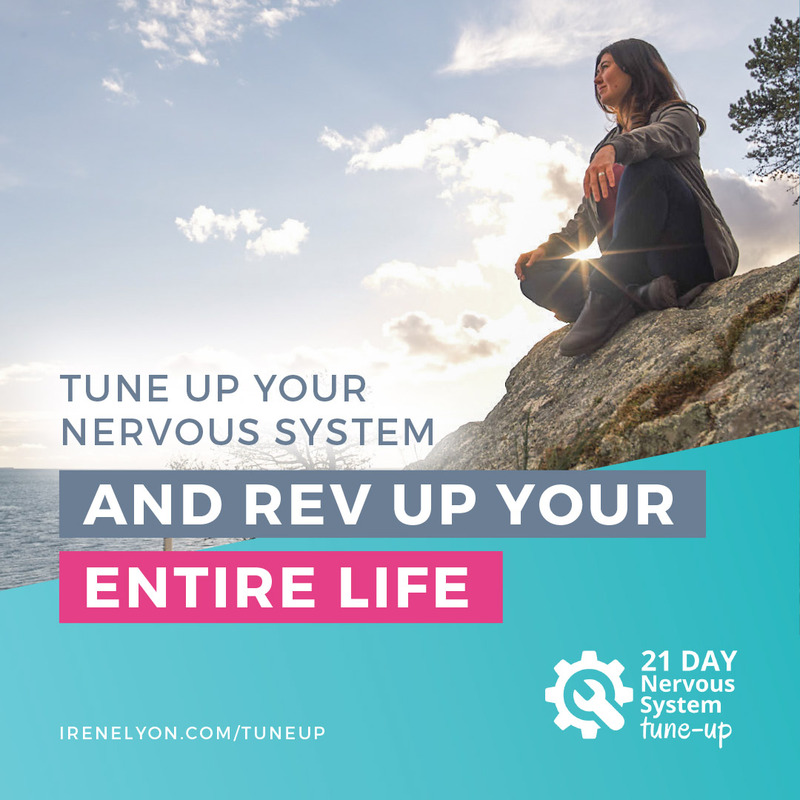 You have the opportunity to ask for clarification of particular provisions and/or address concerns before proceeding, and you may address questions about Scientuitive or these Terms, the Site, or the Services to: support@irenelyon.com. Subject to these Terms, Scientuitive grants you a non-transferable, non-assignable, non-exclusive, revocable, limited licence to use and access the Site solely for your own use. The rights granted to you in these Terms are subject to the following restrictions: (a) you shall not license, sell, rent, lease, transfer, assign, distribute, host, or otherwise commercially exploit the Site, or any content displayed on the Site, in whole or in part; (b) you shall not modify, make derivative works of, disassemble, reverse compile or reverse engineer any part of the Site; (c) you shall not access the Site in order to build a similar or competitive website, product, or service; and (d) except as expressly stated herein, no part of the Site may be copied, reproduced, distributed, republished, downloaded, displayed, posted, or transmitted in any form or by any means. Unless otherwise indicated, any future release, update, or other addition to functionality or content of the Site shall be subject to these Terms. All copyright and other proprietary notices on the Site, or on any content displayed on or in the Site, must be retained on all copies thereof. Scientuitive reserves the right, at any time, to modify, suspend, or discontinue the Site, in whole or in part, with or without notice to you. You agree that Scientuitive will not be liable to you or to any third party for any modification, suspension, or discontinuation of the Site or any part thereof. You acknowledge and agree that Scientuitive will have no obligation to provide you with any support or maintenance in connection with the Site. Excluding any User Content (as defined below) that you may provide, you acknowledge that all the intellectual property rights, including copyrights, patents, trademarks, and trade secrets, in the Site and its content are owned by Scientuitive. Neither these Terms nor your access to the Site transfers to you or any third party any rights, title, or interest in or to such intellectual property rights, except for the limited access rights expressly set forth above. Scientuitive reserves all rights not granted in these Terms. There are no implied licences granted in or under these Terms. The Services are offered subject to our acceptance of your order or requests. We reserve the right to refuse to provide the Services or any part thereof pursuant to any order, or to any session where the person or entity, without the obligation to assign reason for doing so. No order is deemed accepted by us until payment has been processed. We may at any time change or discontinue any aspect or feature of the Site or the Services, subject to us fulfilling our previous responsibilities to you based on acceptance of your payment. If we choose to refuse to provide the Services after payment has been processed, we will reimburse you for such payment. The date and time of any sessions where the Services are provided live, including, without limitation, live group training calls (the “Live Services”), shall be determined by Scientuitive in its sole discretion. You assume all responsibility to attend such sessions. Failure to attend a Live Service session shall in no way give rise to any right of reimbursement to you or obligation of Scientuitive to reschedule such session. Notwithstanding the foregoing, we will provide you with reasonable notice of any anticipated rescheduling of a Live Service. Scientuitive emails Users to confirm placement of a User’s orders and details concerning delivery of the Services. In the event there is a problem with your order related to such email confirmation or otherwise, it is your responsibility to inform Scientuitive as soon as possible of any error. “User Content” means any and all information and content that a User submits to, or posts on, the Site. You are solely responsible for your User Content. You assume all risks associated with use of your User Content, including any reliance on its accuracy, completeness or usefulness for others, or any disclosure of your User Content that personally identifies you, the entity you represent, or any third party. You hereby represent and warrant that your User Content does not violate our Acceptable Use Policy (as defined below). You shall not represent or imply to others that your User Content is in any way provided, sponsored, or endorsed by Scientuitive. Because you alone are responsible for your User Content, you may expose yourself to liability if, for example, your User Content violates our Acceptable Use Policy. Scientuitive is not obligated to backup any User Content, and your User Content may be deleted from the Site at any time without prior notice. You are solely responsible for creating and maintaining your own backup copies of your User Content, if you desire. You may use the Site for lawful purposes only. Without limitation, you agree not to use the Site to collect, upload, transmit, display, or distribute any User Content that: (i) violates any third party right, including any copyright, trademark, patent, trade secret, moral right, privacy right, right of publicity, or any other intellectual property or proprietary right; (ii) is unlawful, harassing, abusive, tortious, threatening, harmful, invasive of another’s privacy, vulgar, defamatory, false, intentionally misleading, trade libelous, pornographic, obscene, patently offensive, promotes racism, bigotry, hatred, or physical harm of any kind against any group or individual or is otherwise objectionable; (iii) is harmful to minors in any way; or (iv) is in violation of any law, regulation, or obligations or restrictions imposed by any third party. You further agree not to: (i) upload, transmit, or distribute to or through the Site any computer viruses, worms, or any software intended to damage or alter a computer system or data; (ii) send through the Site unsolicited or unauthorized advertising, promotional materials, junk mail, spam, chain letters, pyramid schemes, or any other form of duplicative or unsolicited messages, whether commercial or otherwise; (iii) use the Site to harvest, collect, gather, or assemble information or data regarding other Users, including e-mail addresses, without their consent; (iv) interfere with, disrupt, or create an undue burden on servers or networks connected to the Site, or violate the regulations, policies, or procedures of such networks; (v) attempt to gain unauthorized access to the Site or to other computer systems or networks connected to or used together with the Site, whether through password mining or any other means; (vi) harass or interfere with any other User’s use and enjoyment of the Site; or (vi) use software or automated agents or scripts to produce multiple accounts on the Site, or to generate automated searches, requests, or queries to, or to strip, scrape, or mine data from, the Site. You hereby grant, and you represent and warrant that you have the right to grant, to Scientuitive an irrevocable, non-exclusive, royalty-free and fully paid, worldwide licence to reproduce, distribute, publicly display and perform, prepare derivative works of, incorporate into other works, and otherwise use and exploit your User Content, and to grant sublicenses of the foregoing rights, solely for the purposes of including your User Content on and in the Site. You hereby irrevocably waive, and agree to cause to be waived, any claims and assertions of moral rights or attribution with respect to your User Content. If you provide Scientuitive with any feedback, testimonials, or suggestions regarding the Site (the “Feedback”), you hereby assign to Scientuitive all rights in the Feedback and agree that Scientuitive shall have the right to use and fully exploit the Feedback and related information in any manner it deems appropriate. Scientuitive will treat the Feedback you provide to Scientuitive as non-confidential and non-proprietary. You agree that you will not submit to Scientuitive, for the purposes of providing feedback or suggestions, any information or ideas that you consider or reasonably ought to have known to be confidential or proprietary. Scientuitive reserves the right, but has no obligation, to review any User Content and to investigate and/or take appropriate action against you in our sole discretion if you violate any provision of these Terms or otherwise create liability for us or any other person. Such action may include removing or modifying your User Content, suspending or terminating your rights to use the Site, or, if necessary, reporting you to law enforcement authorities. The Site may contain links or references to third party websites, content, goods and services, and/or display advertisements for third parties (collectively, “Third Party Content”). Third Party Content is not under the control of Scientuitive, and Scientuitive is not responsible for any Third Party Content. Scientuitive provides access to Third Party Content only as a convenience to Users, and we do not review, approve, monitor, endorse, warrant, or make any representations with respect to Third Party Content. Your use of Third Party Content is at your own risk, and you should apply a reasonable level of caution and discretion in doing so. When you access any Third Party Content, the applicable third party’s terms and policies may apply, including such third party’s privacy and data gathering practices. You should make whatever investigation you feel necessary or appropriate before proceeding with any transaction in connection with such Third Party Content. Each User is solely responsible for any and all of its own User Content. Because we do not control User Content, you acknowledge and agree that we are not responsible for any User Content, whether provided by you or by other Users. We make no guarantees regarding the accuracy, currency, suitability, or quality of any User Content. Users recognize that Scientuitive is not a party to any agreements that may be entered into between Users, or between Users and third parties (“User Contracts”). Users assume sole responsibility for dealings with other Users and/or third parties, including third parties that may be associated with any Third Party Content. Subject to applicable law, you hereby release and forever discharge Scientuitive, and our directors, officers, employees, agents, successors and assigns, from, and hereby waive and relinquish each and every past, present, and future dispute, claim, controversy, demand, right, obligation, liability, action, and cause of action of every kind and nature that has arisen or may arise directly or indirectly out of, or that relates directly or indirectly to, the Site or the Services, including any interactions with, or act or omission of, other Users or third-parties, and any interactions or acts or omissions associated with Third Party Content or User Contracts. You agree to indemnify Scientuitive and its directors, officers, employees, agents successors and assignees, including costs and legal fees, from any claim or demand made by any third party due to or arising out of your: (a) use of the Site; (b) violation of these Terms; (c) violation of applicable laws or regulations; or (d) User Content. Scientuitive reserves the right, at your expense, to assume the exclusive defence and control of any matter for which you are required to indemnify herein, and you agree to cooperate with our defence of any such matter. You agree not to settle any such matter without the prior written consent of the Scientuitive. Scientuitive will use reasonable efforts to notify you of any such claim, action, or proceeding, upon becoming aware of it. THE SITE AND THE SERVICES ARE NOT A SUBSTITUTE FOR PROFESSIONAL MEDICAL ADVICE, DIAGNOSIS, OR TREATMENT OR FOR A PROFESSIONAL THERAPEUTIC RELATIONSHIP. Users should not rely on the Site or the Services for diagnosis or treatment of any health condition. Always consult a healthcare professional if you suspect you require medical or psychiatric treatment. If you believe or suspect you are experiencing an emergency, call 911 immediately. The Site and the Services are provided on an “as is” basis to the extent permissible by law, and Scientuitive expressly disclaims any and all warranties and conditions of any kind, whether express, implied, or statutory, including all warranties or conditions of merchantability, fitness for a particular purpose, title, quiet enjoyment, accuracy, or non-infringement. Scientuitive makes no warranty that the Site or the Services will meet any User’s requirements, will be available on an uninterrupted, timely, secure, or error-free basis, or will be accurate, reliable, free of viruses or other harmful code, complete, legal, or safe. Testimonials or endorsements on the Site have not been scientifically evaluated and results experienced by Users vary significantly. Many statements outlined on the Site are simply opinion. UNDER NO CIRCUMSTANCES SHALL SCIENTUITIVE BE LIABLE TO YOU OR ANY THIRD PARTY FOR ANY CONSEQUENTIAL, INDIRECT, SPECIAL, PUNITIVE, EXEMPLARY OR INCIDENTAL DAMAGES, HOWEVER CAUSED AND REGARDLESS OF THE THEORY OF LIABILITY (WHETHER TORT, CONTRACT, INDEMNITY OR OTHERWISE) ARISING OUT OF THE SITE AND/OR THE SERVICES, EVEN IF YOU HAVE BEEN ADVISED OF THE POSSIBILITY OF SUCH POTENTIAL LOSS OR DAMAGE. THE FOREGOING LIMITATION OF LIABILITY AND EXCLUSION OF CERTAIN DAMAGES SHALL APPLY REGARDLESS OF THE SUCCESS OR EFFECTIVENESS OF OTHER REMEDIES. In no event shall Scientuitive’s, or that of any director, officer, employee, agent, successor or assign of Scientuitive, cumulative liability to you (including liability to a person or persons whose claims(s) is based on or derived from a right or rights claimed by you) exceed the total consideration paid by you to Scientuitive. In those jurisdictions that do not allow the exclusion or limitation of liability for damages, Scientuitive’s liability is limited to the fullest extent permitted by law. These Terms constitute the entire agreement between you and Scientuitive regarding your use of the Site and our provision of the Services. These Terms are subject to occasional revision. Continued use of the Site following such changes shall indicate your acknowledgement of such changes and agreement to be bound by the terms and conditions of such changes. These Terms and any dispute or claim arising out of or in connection with their subject matter or formation, including non-contractual disputes or claims, shall be governed by and construed in accordance with the laws of the Province of British Columbia and the laws of Canada applicable therein. You agree that the courts of the Province of British Columbia shall have exclusive jurisdiction to settle any dispute or claim arising out of or in connection with the subject matter or formation, including non-contractual disputes or claims, of these Terms. These Terms, and your rights and obligations herein, may not be assigned, subcontracted, delegated, or otherwise transferred by you without Scientuitive’s prior written consent, and any attempted assignment, subcontract, delegation, or transfer in violation of the foregoing will be null and void. Scientuitive may freely assign these Terms. The terms and conditions set forth in these Terms shall be binding upon any assignees. Copyright © 2015 Scientuitive Fitness and Wellness Education Inc. All rights reserved. All trademarks, logos and service marks (the “Marks”) displayed in the Site are our property or the property of third parties. You are not permitted to use the Marks without our prior written consent or the consent of a third party, as applicable. Scientuitive Fitness and Wellness, Inc.